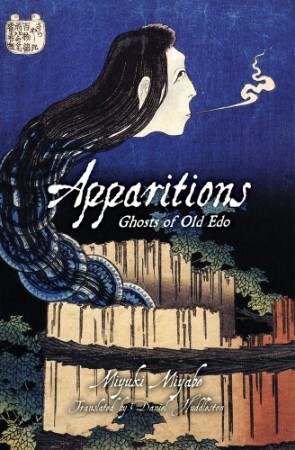 As a huge fan of Miyuki Miyabe’s Book of Heroes, Brave Story, and her ICO adaptation, there was no way I was going to pass on a collection of short ghost stories set in Edo (what is now known as Tokyo). Comprised of nine tales of supernatural and superstitious origin, Apparitions both disappointed and thrilled me. The first two stories didn’t strike me all that much and I found it hard to press on. After leaving it for a couple of days and reading something else in my book backlog, I came back with fresh eyes and hope for the remaining tales. Thankfully, these stories excited me and there were a few nights where I’d convinced myself “just one more story” would be acceptable, thus waking up way later than I wanted the following morning. I’d have to say this is the weakest of all the Haikasoru imprint books I have in my library, but only because of those first two tales. Perhaps if I’d read them last I might feel differently. On the plus side, this reminded me that I need to get the Kitaro collections and Revoltech figures. Apparitions is available in trade paperback from Amazon, RightStuf, and usually in the Sci-Fi/Fantasy section of Barnes & Noble.